Home Credit Card Delta Reserve Credit Card: Should You Get One Now? Are you thinking of getting a Delta Reserve Credit card? Here are features and offers you may want to know about before applying for this credit card. Bring along 2 friends with you over to Delta Sky Club and enjoy satellite tv programming, private washrooms, WI-fi internet access, complimentary food and drinks and VIP flight assistance. Keep getting miles on your card for almost anything that you purchase. You can earn miles from your daily shopping of your groceries to your monthly bills like your cable tv bill. There’s absolutely nothing to stop you from racking those miles. 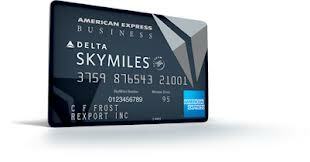 With your Delta Reserve Credit Card, you get to earn 10,000 Medallion Qualification Miles right away on your first buy. 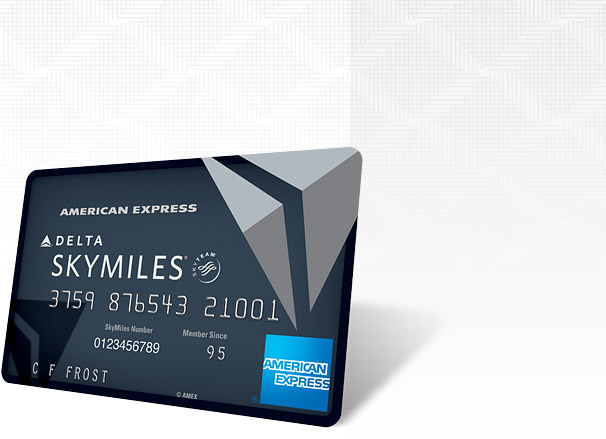 You can help family friends reach Medallion status quicker by giving them your Medallion Qualification Miles that you earned with your Delta Reserve Credit Card. This would be the best way to share the benefits of a Delta Reserve Credit Card. Every year that you renew your card, you will get an economy class companion certificate or domestic first class ticket that you can give to your friends or family. Our concierge team is glad to assist you with personal things so you can have more time doing what’s important. The staff is always ready to help you day and night from hotel reservations to events planning and party preparations and anything else that you may need help with. Have a peace of mind knowing that your baggage is covered by the Baggage Insurance Plan. You are covered whether you travel by bus, ship, plane, train, or even helicopter when you purchase your ride with your Delta Reserve Credit Card. Waiting will no longer be a problem for you. Go to the front of the line, find a seat right away and relax on your flight. Your Delta Reserve Credit Card is all you need to get priority boarding. Get a 20% savings on valid in-flight purchases like movies, tv shows, headsets, food and credit. You get these savings as a credit on your Delta Reserve Credit Card statement. Earn double miles for money spent on Delta Vacation and Delta Air Lines purchases. Save up to $60 on your round trip with Delta Air Lines and have your first bag checked for free. You can earn up to 15,000 Medallion Qualification Miles and 15,000 bonus miles every year after spending $25,000 in eligible purchase. As a Delta Reserve Credit Card holder, you get peace of mind when your car blows a tire or when it breaks down in the middle of the road. Call us and we’ll send someone to replace your car battery, fix a flat tire and do tow service up to 10 miles. Drive your rental car with peace of mind. You will be covered for any damage or loss of the rental car as long as it’s paid for with your Delta Reserve Credit Card. Unfortunate things may happen while you travel. You get sick or your passport got lost. Or you may need help in navigating to your destination or finding an attorney in case you get in trouble in a foreign country. You can call the Global Assist Hotline through your Delta Reserve credit card and they’ll be always be ready to help. When you pay the entire fare with your Delta Reserve Credit Card, you are entitled to a Travel Accident Insurance which provides coverage for accidental dismemberment or death while travelling on a train, bus, ship, plane or helicopter. When you use your Delta Reserve Credit Card with a valid purchase, your warranty can be extended for one more year after the manufacturer’s warranty expires. American Express, the bank that offers Delta Reserve Credit Card, will promptly resolve disputes with your credit card for any fraudulent or wrong transactions charged to your statement. These features are more than enough to convince you to get a Delta Reserve Credit. So what are waiting for? Go and get one now.